Online Reputation Management is more important than ever. Back in the day before the World Wide Web gave us the capability to find products and services with a few keystrokes or mouse-clicks, most of us relied on referrals from friends, family and colleagues we trusted to refer us to businesses. While that’s still an option, more and more potential customers are looking for referrals online. How? By reading online reviews. A strong online reputation is critical for small businesses. You need to build trust and confidence in your company to attract and retain customers. That doesn’t happen passively, however. You need an active online reputation management program to achieve and maintain the best online reputation possible. A study in 2015 revealed that 92% of consumers regularly or occasionally read online reviews. And here’s the kicker: The overwhelming majority of those who read the reviews actually trusted them as much as they trusted the recommendations of friends and family! So it is becoming increasingly important to have a strategy in place to manage your business’ online reputation management and customer reviews. 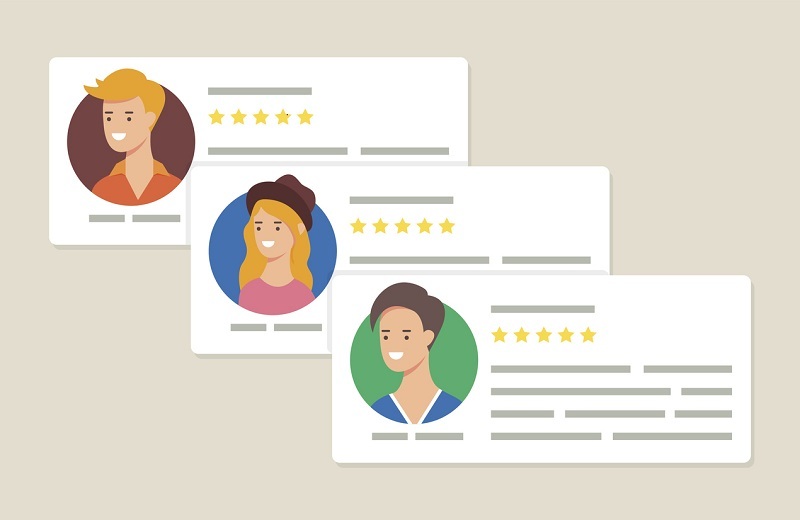 Online reviews are one of the most important parts of any business today. From gaining local organic search rankings to becoming word-of-mouth, online reviews create branding. If you are rarely mentioned anywhere on the web, how will it influence your customers? Google and Facebook are using online reviews for increasing a business’ SEO, especially for local searches. So companies who want to be found need to aggressively solicit reviews from the sites that matter most in the search rankings. But small companies with limited resources and time find it difficult to add yet another task to their never-ending list of To-Do’s. That’s where St. Louis SEO for Growth can help! Our online reputation management program will do the necessary research into which review sites are right for your business. We will then make it easier for your happy customers to post reviews in those sites, as well as intercept negative reviews before they get posted online. Posting reviews and testimonials on your website is fine, but it’s not sufficient if you want to improve your online search ranking. To do that, high quality reviews must be posted across important online reviews sites, which must also be monitored regularly. These reviews must be authentic and from real people. Contact us today to learn how we can get your online reputation growing and glowing!